Christopher Meloni will play a hitman forced to team up with a girl’s imaginary friend on Syfy’s Happy! Syfy has found a star for their upcoming Happy! series. According to Deadline, Christopher Meloni (Wet Hot American Summer, Man of Steel) will take the lead role in the upcoming television adaptation of the 2012 Image Comics miniseries by Grant Morrison and Darick Robertson. 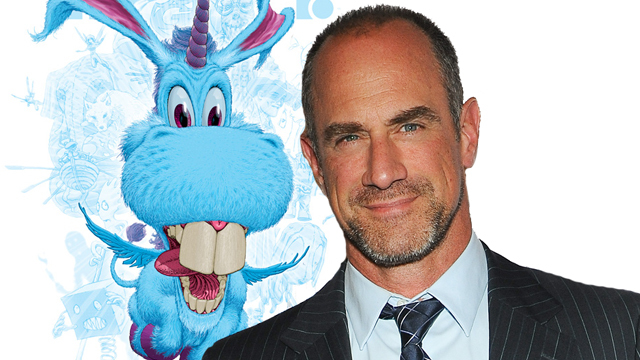 The offbeat tale blends comedy and violence and will see Meloni play Nick Sax, a hitman who winds up teaming with a little girl’s imaginary friend (a flying blue unicorn named Happy) to save the girl’s life. Plans to adapt Happy! were announced before the miniseries even concluded, although the original plan was to bring the property to the big screen with RZA aiming to make the film his directorial followup to The Man With the Iron Fists. Meloni is also set to serve as executive producer on Happy!, which has been given the pilot green light at Syfy. Grant Morrison is adapting his own comic alongside Crank’s Brian Taylor. The pair will also serve as executive producers. A Universal Cable Production, Happy! will also be produced by Bill Butler. How do you want to see Happy himself realized for the small screen? Who would you like to see voice the flying blue critter? Share your thoughts in the comments below!